If you ask anyone if they’ve heard of bitcoin, the answer is most likely yes. Although the awareness of bitcoin is at an all-time high, most people are still confused on how actually to purchase it. Follow this guide to easily buy your first bitcoin in minutes on the popular digital exchange Coinbase. Have your passport or driver’s license on hand. First and foremost, head on over to Coinbase and click the “get started” tab. This section will require you to enter your name, email address, state, and create a password. Remember to create an extremely strong password. Click “create account,” and you will be asked to verify your email address. Log into your email and complete this process. Next, you will be asked to enter your phone number. You will receive a text message to your phone with a one-time code. You will be prompted to enter this code on the Coinbase website. This adds a level of security to your account and prevents spam accounts from being made. After confirming your phone number, you will be asked to strengthen the security of your account by enabling two-factor authentification. 2FA is a necessary method to keep your funds away from hackers and safe in your account. This security measure not only requires a username and password but also a constantly-changing set of numbers that just you physically have access to; such as your phone. The preferred application for 2FA is Google Authenticator. Once you begin setting up 2FA on Coinbase, it will display a QR code that you need to scan using the Google Authenticator app on your phone. 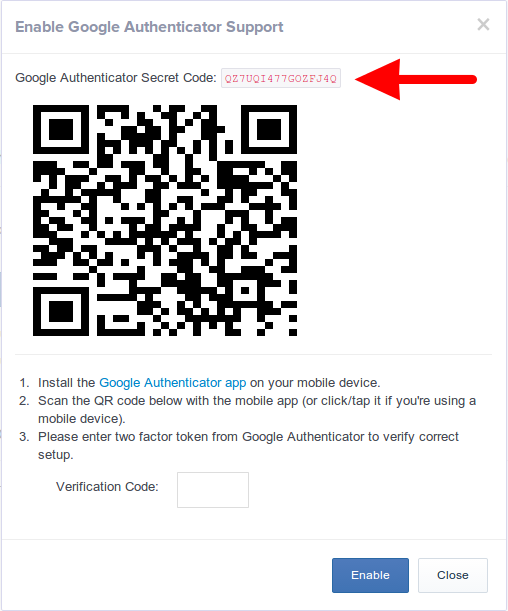 Make sure that you first write down the Google Authenticator secret code that is found above the QR code. This code is a one-time use method for gaining entry to your account if your phone is lost or stolen. You’ll see the “+” symbol once you open the app, click it. It will show two options: Scan barcode and manual entry. Click scan barcode and scan the QR code shown by Coinbase. Congratulations, your account is now fortified with a second layer of security. The only way a malicious actor can now gain access to your account is if they have your password, email, and your phone in their possession. Now that you have the basics of your account completed, Coinbase will now need to verify your identity. To avoid any delays, make sure that the picture you take is clear. Unclear photos result in a failed verification which means your account is locked for 24 hours. If your photo is clear and up to standard, your ID will be verified within seconds. You will also be asked to enter your social security number. This process is per know-your-customer (KYC) and anti-money laundering (AML) laws. You’re almost done! You should be logged into your bank account to have access to your real-time transactions statement for this section. You will be asked to link your bank account or debit card with Coinbase. This will require your bank routing number or your debit card information. Connecting your bank account as opposed to your debit card will enable you to have higher limits on the amount of money you can spend in a week. Once you have linked your bank, Coinbase will deposit two micro-transactions into your account. They then give you a prompt to enter the unknown amounts. Go to your bank statement and find the two microtransactions. This is the step you’ve been waiting for! Your ID is verified, your bank is linked, and your account is secure. All that’s left is to buy your desired amount of BTC. Whether on the Coinbase mobile app or their official website, click the “buy/sell” tab for bitcoin. Congratulations, you have officially bought your first bitcoin and become a part of the cryptocurrency revolution! It’s immediately available in your BTC wallet, and you may store it or use it as you wish. To view your recent transactions, head over to your bitcoin wallet to see your recent purchase. For many users, it’s not practical to send your BTC off Coinbase. Coinbase is a trusted institution because they are one of the few digital asset exchanges that are FDIC insured and regulated. The digital world is still young, and any mistake such as sending your hard earned BTC to the wrong address will result in permanent loss. For added security, Coinbase has created a digital vault that is available to all of its clients. You may deposit BTC into this account, but any withdrawal takes multiple days before funds are released. This method allows the owner of the wallet to deny the withdrawal for a few days. This added security step ensures that your BTC is safe and that only you have access to it. As you can see, buying bitcoin is actually very simple. Once your account is complete, it becomes as easy as buying a coffee at Starbucks. Bitcoin has never been so easy to obtain, and as the currency matures, it will be even easier to spend.